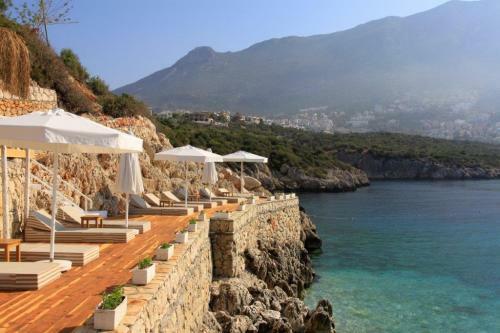 Sarah Udall, one of the Further Afield team, was in Kalkan, Turkey recently and she has shared some of her thoughts on this corner of paradise. Plus we’ve some insider tips from Ann who owns Villa Cukur. Kalkan is in the perfect location to make the most of not only the amazing beaches which surround it, but also to venture out and explore the historical sites of the region including ancient Lycian cities. 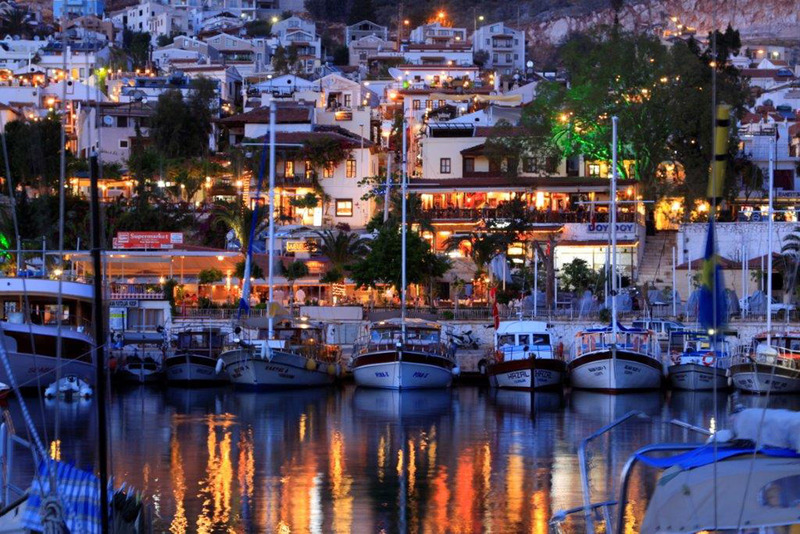 Dalaman airport is approximately two hours away by car, or Antalya airport is a three hour drive away. Kalkan, now an elegant unspoilt resort with winding backstreets leading down to a lively harbour lined with traditional gulets is full of traditional architecture, whitewashed houses and stunning rays of colour from bougainvillea filled courtyards. This charming little resort thrives on visitors from all over Europe, but retains its eclectic mix of bustling backstreets and waterfront dining with only the lightest dusting of neon. 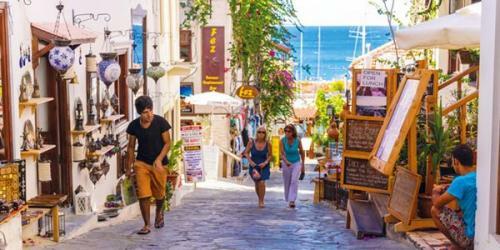 The old town forms the focal point, but this is a place that seems to have lazily spread its wings stretching along the pretty coastline dotted with upscale beach clubs and quiet swimming spots. Ann: Arriving in Kalkan you immediately feel you have arrived in a very special town with its warren of restaurants and shops leading down to the lively harbour. It’s such a unique and special place, surrounded by stunning beaches and full of great places to eat. There are bars and restaurants to whet anyone’s appetite from slick and modern to traditional family fare. Thanks to strong local agriculture, the quality of the food here is fantastic and it’s hard (although not impossible) to have a bad meal. If you’ve not experienced real Turkish cooking then you’re in for a treat – regarded as one of the top rated cuisine’s in the world with a diverse and exotic flavour profile with tastes of the Mediterranean alongside the spices of the Middle East. There are some spectacular rooftop terraces with incredible views over the bay, so you can enjoy the very best of Turkish dining with views to match. One of my faves was Ada’s Restaurant – perched on top of a hill looking across the glistening Mediterranean with freshly caught fish grilling on open flames and drinking ice cold beer from frosty glasses. Guided by the smell of woodsmoke, we sat at Ada’s outdoor tables and enjoyed the most stunning seaside vista over the crashing waves below – and the perfect lunch of grilled local fish, crispy succulent calamari and plenty of salad, chips and beer to chase it down. Ann: Finding where to eat is a true pleasure with a third of the restaurants being roof top giving wonderful views of the harbour and Kalkan bay plus people watching. We love to eat in Kucuk Ev (Small House) a family run restaurant with only eight tables and a prized balcony table. Its small in size but large on quality and booking is essential because of its popularity. Take yourself away from Kalkan on a Sunday and try a Turkish snack at the Akbel market or if Kalkan is too hot go higher into the mountains to Islamalar and have a newly caught trout for lunch, the freshest fish ever! Kaputus is one of Turkey’s picture postcard destinations (below) and often features in Turkey top 10’s thanks to its crystal clear water, dramatic cliff backdrop and soft white pebbles. Just five minutes out of Kalkan’s centre, along the insta-worthy coastal road, delivers you to a steep set of steps where you will be rewarded with calm turquoise waters. 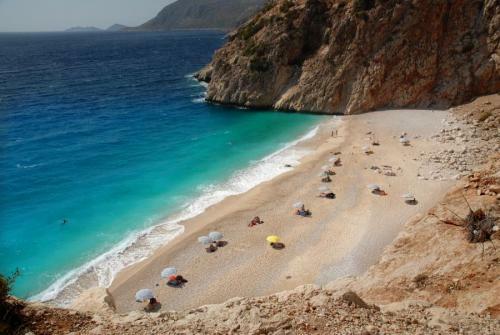 If sea-swimming’s your thing then there is plenty of it in Kalkan itself. The town beach is a pleasant white pebble beach awarded a blue flag just to the left of the harbour making it super handy when it comes to lunch. Think about visiting one of the beach clubs that dot the coast neat town. Far from the “beach clubs” of Spanish Costas, where music blares and menacing kids rule the roost with an arsenal of inflatables, these clubs are the perfect place to spend a lazy day ordering cocktails and lunch to your lounger. Our favourites are the upmarket Yali (below) and the swanky Villa Mahal’s sister club of the same name. If it’s sand you’re after, then you’ll find 18km of the finest powder at Patara, just 20 mins from Kalkan. This spectacular sweep of coast has everything you need from a beach… places to eat, drink, lounge and swim but thanks to it’s size never feels crowded. Included in the entry is access to some fairly impressive Lycian ruins, so you can kill two birds and tick off a bit of culture along with your lounging. Adventure seekers won’t be bored either with kayaking along the Dalyan River; gorge walking at Saklikent or a trip out on one of the beautiful traditional gules that line the harbour. 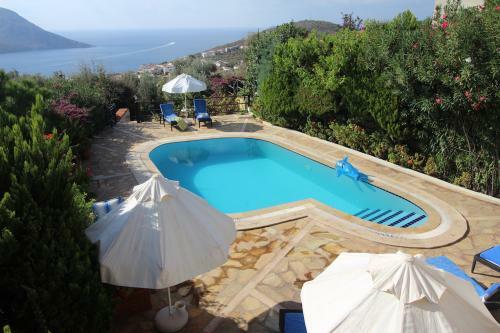 Further Afield is lucky enough to work with Ann at Villa Cukur, who rents her lovely villa for six with the most amazing views – check it out below. There’s also The Coutryard Hotel smack in the centre of town.